Custom built with 3 bedrooms, 3 baths, bonus family room, main floor laundry hookup in mud room, basement is a walkout with concrete patio, has a beautiful pellet burning stove for additional heat in the basement family room, the deck off kitchen is fitted with a roof and ceiling fans so it can be used for entertaining even on the warmest days, three car garage, and great curb appeal landscaped on two acres. 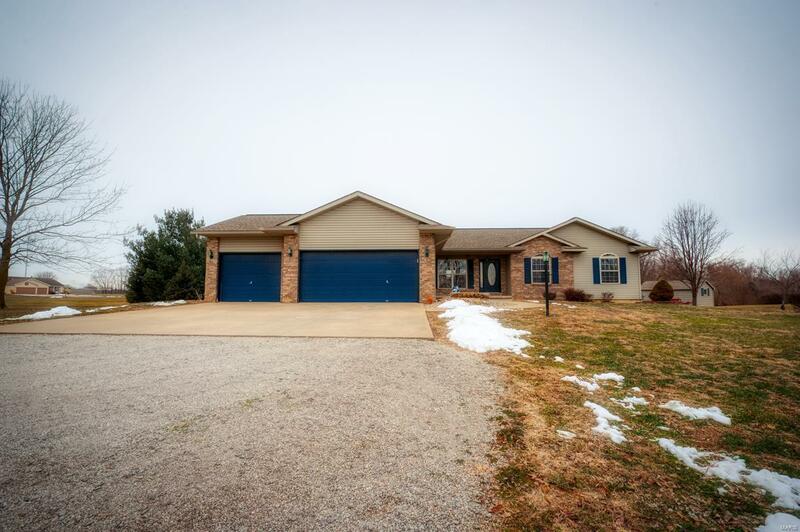 Located close to Cloverleaf Golf Course and interstate 255. This is a must see.